ONE OF THE BEST FULLY AUTOMATIC PHOTO OPTIMIZATION TOOLS IN THE WORLD! How many pictures of your last vacation are still waiting to be edited? Present your pictures as good as possible! Use our latest optimization-algorithms and do not let your beautiful memories get spoiled by bad photos! 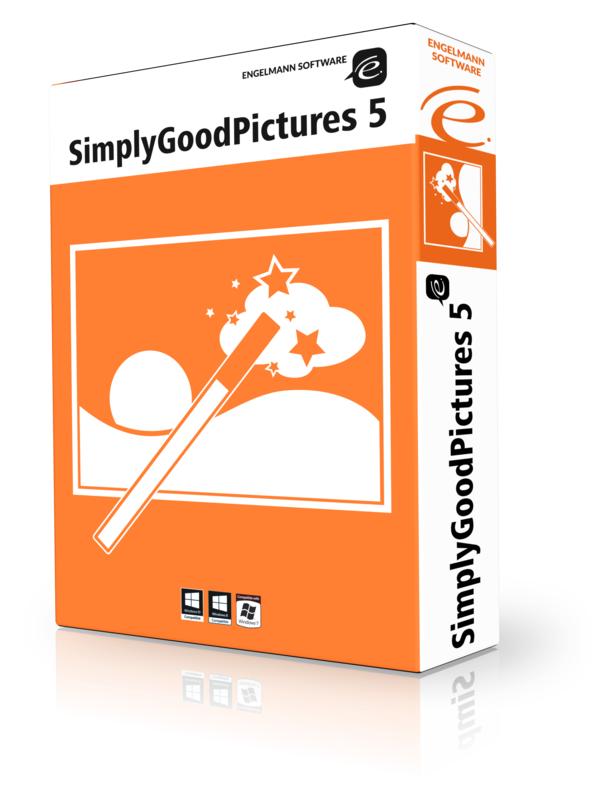 Our innovative software “Simply Good Pictures 5” optimizes and repairs your photos with one single click! Our fully automatic photo optimization consists of complex connected psycho visual and mathematical procedures, which allow the software to analyze a photo precisely, optimize the photo visually and make the appearance of the photo more authentic. Faster than ever before: Our optimization is now up to 8 times faster. Of course, we take the support of Windows 10 for granted. So: if you’re looking for a software which literally requires you to open an image and then save the enhanced version, this is for you. It does not make the best job possible – but it does improve the images. As long as you’re not expecting too much of it, this software will serve you well. The program simply supports “drag-and-drop” function, so it couldn’t be more simple! This is a pleasingly functional software program. I appreciate the fact that the results are FAST and can be easily tweaked by adjusting the degree of “optimization” and “auto-color.” I was able to optimize my landscape photographs from Alaska very quickly with results that improved the dynamic range, color, and contrast without blowing out the highlights — which can be very difficult to achieve with snowy mountains next to dark forests. This program is a keeper! 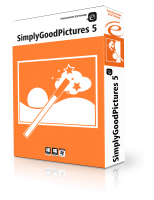 Simply Good Pictures is a simple, easy-to-use software that allows you to edit or optimize photos instantly. If you are looking to edit a lot of photos, but you don’t have a lot of time to spare, this software allows you to optimize all these images in one click. The main interface of the application is split into 3 major parts, with the original picture being displayed on the left, while the preview appearing on the right side of the screen. You’ll find a couple of optimization options at the bottom of the screen. Although auto touch ups on photos aren’t as good as doing it by yourself, Simply Good Pictures actually tries hard to incorporate essential image enhancement features that make the entire process easier. The application by itself doesn’t support batch editing, leaving you with an option to only edit a single image at a go. This is pretty much a headache, when dealing with a large number of images. The automatic function is readily available for use, although you should note that once on this mode, you can’t use the Auto-Color function. When the Auto-Color option is off, you can easily use a slider to alter the strength of the optimization process. Simply Good Pictures also allows easy removal of noise in images and you can set automatic dynamic range, reduce shadows, correct poor exposures, and add light to images. Simply Good Pictures is a decent software that’s easy to use and allows for automatic image adjustment. It doesn’t crash or hang during image processing. The only disadvantage is that you can only save images as JPG or BMP. I wouldn’t know what to give for a review… since I haven’t received my registration information after numerous request… Yes, I checked my spam files (All of the emails I used to get a reg key)… what’s up with that?